L’ADBU, aux côtés de 17 autres associations et institutions, est signataire d’une lettre ouverte à Elsevier pour l’inviter à renoncer à sa politique actuelle concernant le text and data mining (TDM). 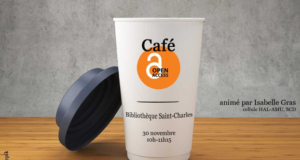 L’ADBU partage l’idée que la politique actuelle d’Elsevier comporte des restrictions incompatibles avec l’activité de recherche, notamment pour la fouille de texte (TDM) dont on sait aujourd’hui qu’elle est fondamentale à une recherche efficiente. A l’instar du Royaume-Uni qui vient de légiférer sur le TDM en interdisant les restrictions liées à la fouille de texte, nous espérons que cette lettre ouverte amorcera un mouvement global chez les éditeurs en faveur de l’ouverture totale du text and data mining. Ci dessous le texte intégral de cette lettre ouverte, également disponible au format PDF. On behalf of research community stakeholders, we are calling on Elsevier to withdraw its current policy on text and data mining (TDM). TDM is a digital research method which enables the analysis of vast and heterogeneous types of content. It has led to new medical and scientific discoveries and is set to be key to increasing the productivity of research and become an established element of research methodologies. 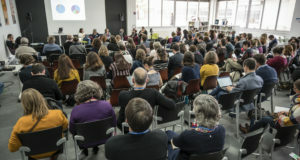 Europe is falling behind in the exploitation of TDM because the lack of clarity in the current European copyright framework is disincentivising the uptake of TDM by researchers. In the UK, an exception for TDM has been introduced into legislation. What this means is that TDM will no longer be an activity that is subject to licence in the UK; any researcher will be free to mine content to which their institution has legal access. We see no reason that researchers across Europe and beyond should not have equal rights to mine content to which they have legal access. 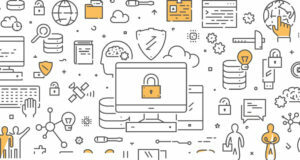 Restrictive licences provided by publishers for access to content for the purpose of TDM have the potential to further disadvantage the research community by enforcing strict parameters around how content can be mined and under what conditions the results may be made available. Presenting researchers with no other option but to register their details and agree to a click- through licence, the terms of which can change at any time, in order to gain access to content for the purpose of TDM is unacceptable. It places undue liability on the researcher and undermines the role of the institution as an intermediary tasked with protecting its researchers’ privacy, as well as its ability to protect its intellectual capital. In order to ensure transparency and reproducibility of results, it is essential that institutions are permitted to securely store a copy of the individual datasets which researchers have used for their experimentation. Moreover, we do not agree that any publisher should mandate how researchers licence the output of their TDM research. 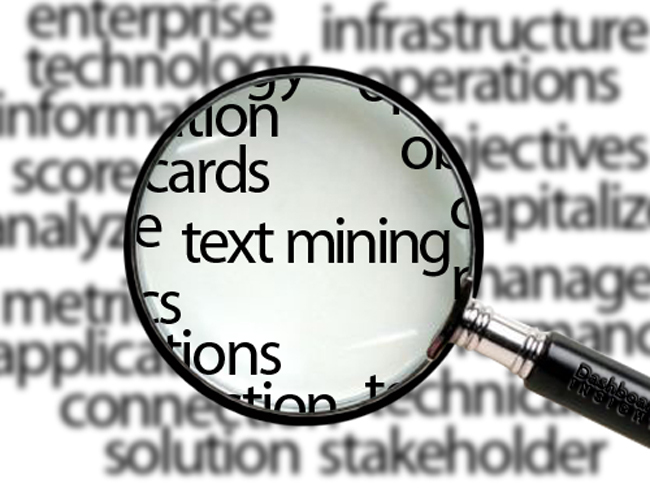 The licence for access to content should not limit the choice of text and data mining tools available to researchers, neither those developed by the researcher themselves or provided by a third party. Rather than putting technical measures in place to prevent crawling by robots, publishers should encourage the adoption of protocols for responsible crawling of content, which would ensure that the load placed on publishers’ servers by TDM activities remains negligible. Research institutions are already paying a significant amount to Elsevier and other publishers for electronic access to journals. Given this significant revenue, we believe that publisher infrastructure should be robust enough to cope with the added load of TDM. Nor should licence terms prevent researchers using digital methods to exploit this content. Digital content analysis such as TDM is the most effective way of deriving value out of the large digital collections to which institutions subscribe. It can also help institutions to measure, justify and increase return on investment on its large e-journal spend by surfacing valuable elements of the scholarly process such as providing links from new findings to the original publications.